Performance-based Testing is Critical in Medical Device Construction Laboratory Test Capabilities | Fabrico, A Division of EIS, Inc.
Fabrico Medical utilizes a fully equipped test lab in determining whether materials meet customers’ designed-in specs, often eliminating the need to test materials on the customer end. Performance-based testing is critical in the medical device construction process, and Fabrico Medical’s quality testing procedures cover medical grade adhesive performance, electrical properties testing, and materials compatibility testing. For medical manufacturers challenged with selecting the right adhesives, Fabrico Medical performs adhesive testing so that alternatives can be considered before an investment is made in prototyping. Fabrico Medical can recommend different adhesives based on the formulations and characteristics that are most important to the application, including biocompatibility, bond strength, flexibility, ease-of-use, price, availability, and manufacturability. In addition to rigorous adhesive testing, Fabrico Medical provides a range of materials from strategic partners including 3M Medical Materials and Technologies, Adhesives Research Medical, DuPont Medical, and others. For converters and medical manufacturers designing for today’s trends toward miniaturization and low power efficiency, they must carefully consider the electrical properties of the material and adhesive they select. 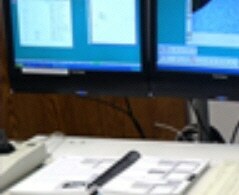 Fabrico Medical provides thorough electrical testing to ensure those materials meet all application specifications. Resistance and voltage testing provide precise measurement of the electrical properties of both the material and adhesive in use. Ultimately, accurate testing of electrical properties can point out potential problems and lead to a solution involving a better-suited material. Proper material selection can mean the difference between success and failure for medical device applications. Fabrico Medical ensures that selected materials meet designed-in specifications before they move to the factory floor. 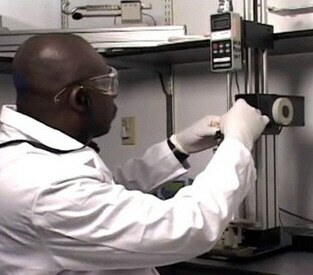 Materials testing begins with part dimension verification. Using a computerized gantry video measuring system, Fabrico Medical engineers bring a high level of analytical power to quality assurance, prototyping and short run production for traceable, precise production measurements. Material strength is also measured to ensure compliance with specifications in both tension and compression. If adhesive is used in the application, the liner is removed and the adhesive and backing are weighed. The adhesive is then removed from the backing, which is then weighed, providing before and after accurate coat weight of the adhesive. 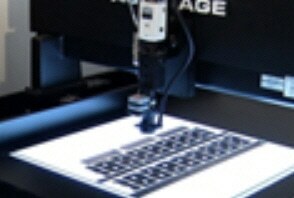 Finally, microscopic imaging allows for side-by-side comparison of different combinations of materials and adhesives. Contact us about your lab testing needs.